Since then, I’ve received dozens of messages from fellow Z-2300 owners, all asking for more information. This is understandable—no company publicly releases schematics for their products, and definitely does not allow for others to profit from the company’s products/services. As an engineer, I wholeheartedly respect that. 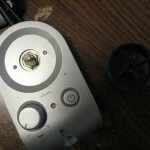 What is bothersome is Logitech’s backwards policy on replacement parts. I’ve owned my Z-2300 set since late 2005. The volume control has always exhibited terrible channel balance at low volumes. This is caused by differences in the left and right potentiometer gangs, which are pronounced at the lower and upper thresholds of rotation. Such tolerance errors are common amongst dual-ganged pots. 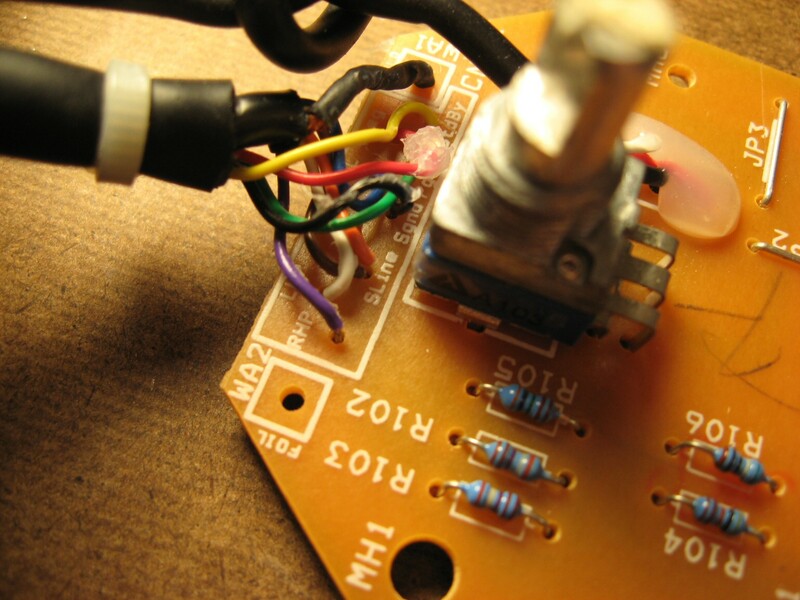 There are two fixes: 1) Replace the potentiometer and hope for less error, or 2) Implement attenuation circuitry at the audio input (series resistors), such that the maximum counter-clockwise position of the potentiometer is avoided. I could’ve fixed this imbalance myself. Instead, it was easier to raise the volume on the pod and decrease volume at the PC. Anyway, I called Logitech’s support line one day to see about the prospect of purchasing a replacement remote control. After explaining the annoyance, I was kindly told that Logitech could send me a completely new Z-2300 set for free. Not even a shipping charge. What?! I was willing to shell out cash for a replacement part, and here they were offering to send me a $200 speaker set on their bill. 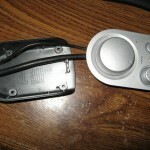 Logitech’s wasteful policy affects products besides their Z-2300. 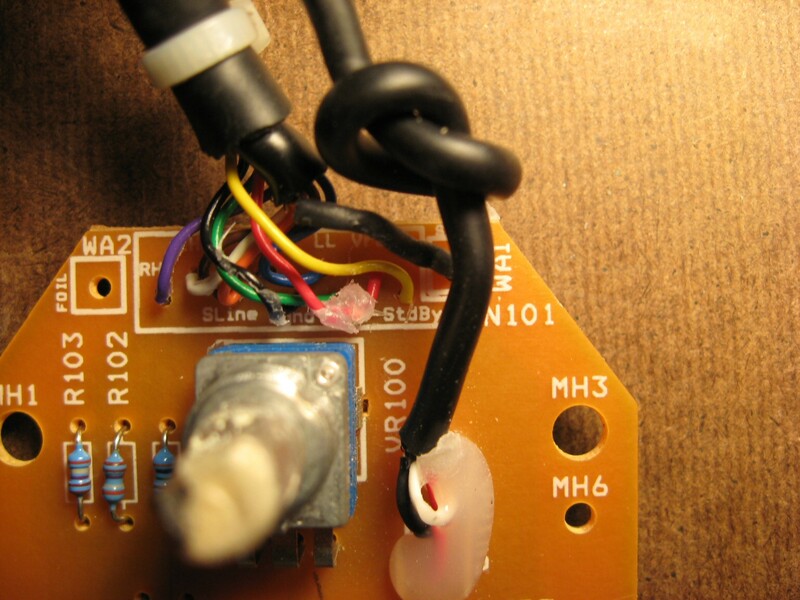 A few eBay sellers offer hand-made audio interface cables for the Z-5500, which bypass its digital remote control. These $5-$10 contraptions sell for ridiculous prices ($45-$80). Considering that there are no replacement parts to be sold, this is a clear case of demand outweighing supply. So, the question is, why on Earth doesn’t Logitech sell replacement parts? It would be profitable! With all of that said, I would very much like to release the information I have unearthed. From the messages I’ve received, it is clear that plenty of people with out-of-warranty Z-2300’s are interested in purchasing Logitech replacement parts. Several people have lost their control pods during moves; some have dropped or otherwise broken them; some want to tap into the circuitry for unique modifications (often multiple subwoofers…); some, like me, just wanted a better performing volume control. 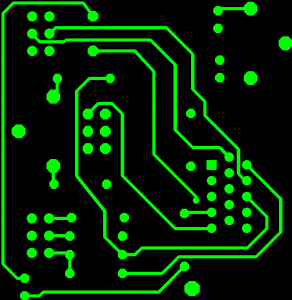 The PCB silkscreen provides wiring labels for all 9 wires (plus 1 shield “wire”). Of course, you’d have to open the pod up yourself and use a continuity checker to find out which pins of the High Density 15-pin D-Sub connector these wires go to. Lastly, I can verify Logitech’s claim that standard VGA extension cables should not be used with Z-2300’s. 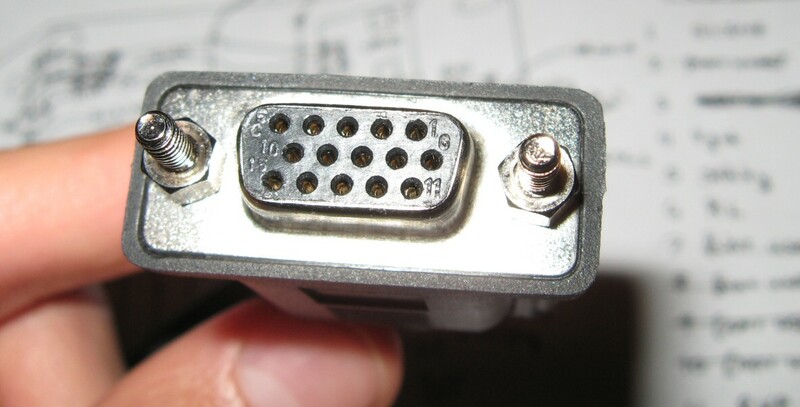 The center row of pins for a VGA extension cable are all tied to ground. Logitech uses a single pin in this row for an audio signal. Anyone attempting to extend the interface cable should make sure to use a pin wired 1:1 (that is, pin 1 is wired to pin 1, pin to goes to pin 2, etc., and no pins are tied together). EDIT (April 27, 2010) – SCHEMATIC RELEASED! DISCLAIMER: This design is for personal use only. Information is provided without warranty, either expressed or implied. Schematic and information below may contain intellectual property of Logitech. Capacitors C100, C101 are optional. Someone with more free time may wish to investigate the frequency response with and without these parts. A stereo audio signal comes in through the green 3.5mm connector. 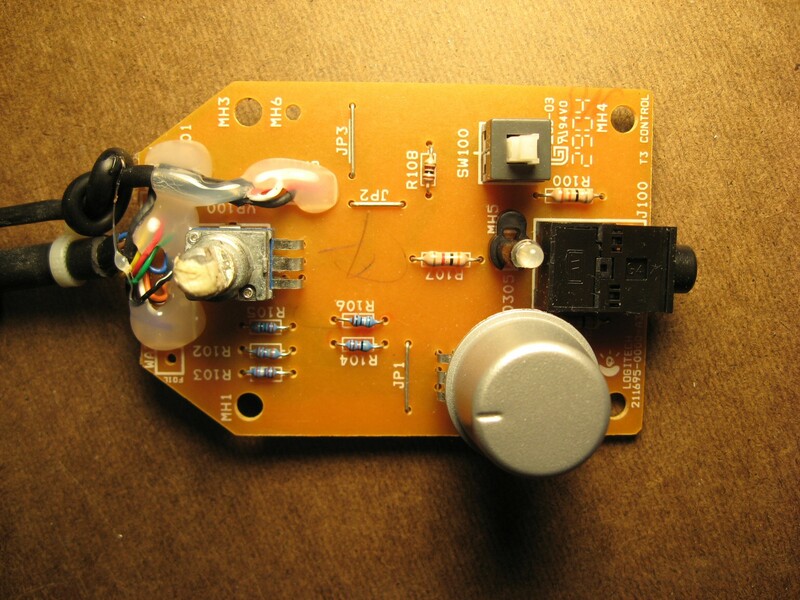 Signal passes through the remote’s main volume potentiometer for attenuation. Signal is then fed down to the subwoofer enclosure for pre-amplification. b) Back up to the remote. Output from the subwoofer potentiometer finally gets fed back into the enclosure and last, into the subwoofer amplifier. 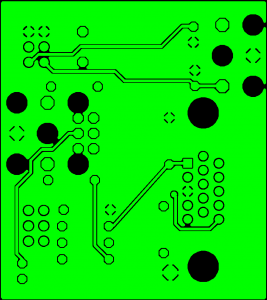 The board can be purchased from BatchPCB in unassembled form. This is entirely non-profit. As such, NO SUPPORT IS PROVIDED. You are on your own. iNeedFixin.com” href=”http://www.ineedfixin.com”>purchased from an independent builder. Thanks for sharing diagram for z2300. Is it possible to use this unit with no volume control, just turning on, and apply audio signal for subwoofer. I just want to use it with my Onkyo receiver. Yes, that’s fine. Simply unplug the speakers. Just to make sure I am understanding this correctly… We can plug directly into those 4 pins and skip past the circuit board/volume control pod/board and any/all of the resistor, etc..? This won’t blow the speaker? 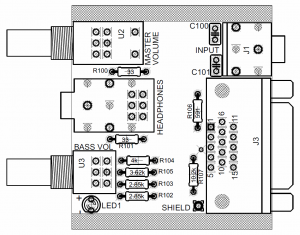 I would like to know if is posible to skip the whole unit simply using a Jack or RCA to VGA wire, and use a receiver and its software to control the volume. Is that what you did? (I have no idea about what I am talking about). Yes, bridge over the potentiometer gangs, then hardwire the device to be constantly powered on. Noise performance will be poor and bass boost might be ridiculous. 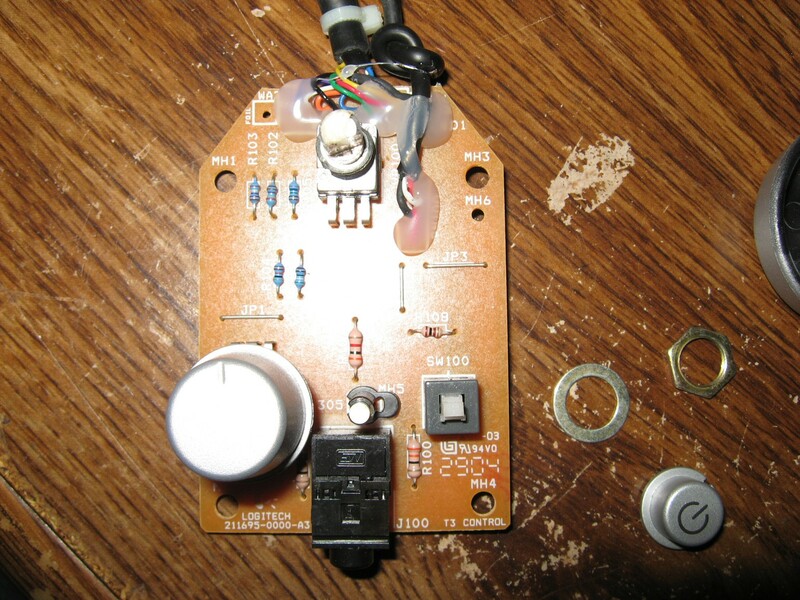 I recommend experimenting with resistors in place of the bass potentiometer. You’ll want to at least fix bass to a reasonable level. 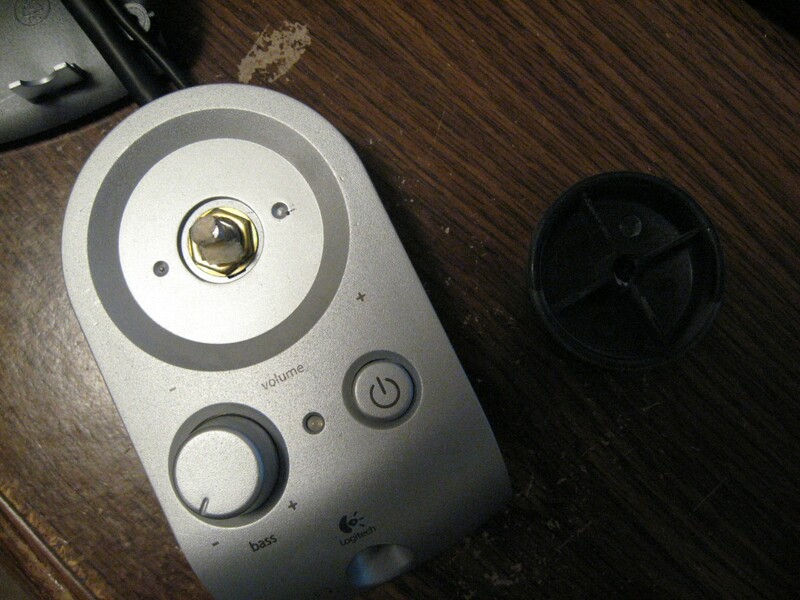 I also own the Z2300 speakers and it seems that my volume-control potentiometer, is at its last days. Sound from one of the speakers disappears, and it is not controlling the volume as it should be. After looking at the pictures and reading the article i decided to replace the potentiometer it self, without making a complete new control-unit. 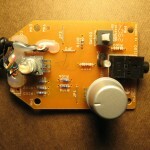 Can you please help me with the details on the potentiometer?? I’m looking for a 8-pin, 10K, Linear pot?? You’re looking for a dual-gang pot, which will have 3 pins per gang = 6 pins total. The two extra “pins” are for mounting only. Thank you very much. Which kind of resistors would fit my needs? I also thought using software to equalise the sound instead, but I suppose that noise levels would be higher. Any 1% metal film, 1/8 or 1/4W size will work. You’ll have to experiment with values. Start in the 1k-10k range. No higher than 100k. This values will work for both bass (subwoofer) and mids-highs (speakers), won’t it? Thanks a lot for the assistance. These are ballpark values to experiment with. Yes, the ranges are valid for both volume and bass sections for testing. May I ask you If exist other website alternative. Looks like you had a great mother’s day! You tolltay don’t look pregnant. It seems like you ate a lot and need to burp. Lol.This Cookn’ Mom recently posted.. I concur, I also cannot seem to also reach this link, there was a problem loading the page, according the Firefox resultant; the server cannot be found. I concur, I also cannot seem to also reach this link. I tried with four pins are introduced to clarify the speaker, but did not succeed. 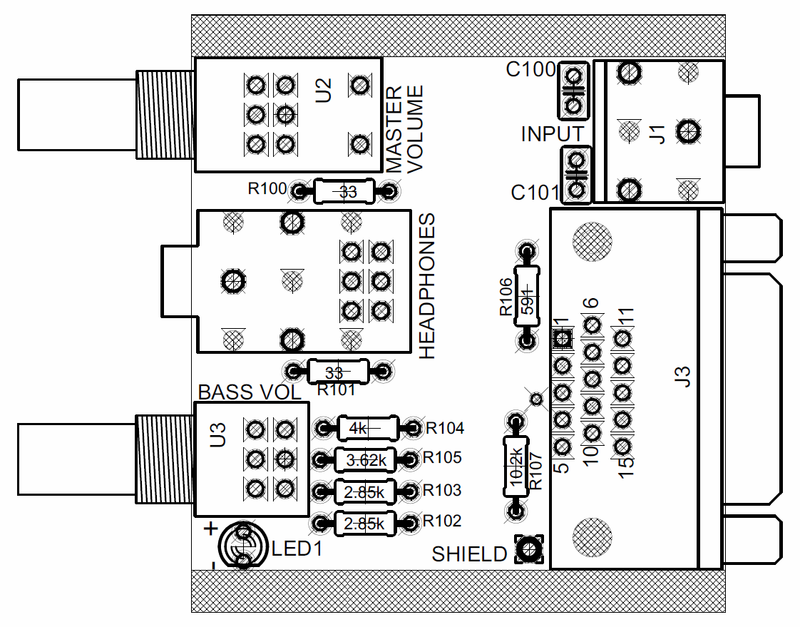 Does anyone has the circuit schematic for logitech Z-4 Subwoofer? Hi. Did you find something for the Z4 ? I’m also looking for one … Thanks! I have two z-2300s. One powers the left spkr, the other, the right. I have the volume control on both cranked to max. and control the overall volume with a Mission preamp. The question I have is, does the preamp in the Z2300s negate the higher quality preamp of the Mission since they (the Z2300s) are down stream of the Mission? @Bill: Yes, gain of the Z2300 preamp is high and adds audible noise, so I image it’s defeating the quality of your external preamp. Thanks for the fast reply. You had to have known this was coming at you next …. is there a way to disable (not even sure if that is advisable) the pre-amp in the z2300s? Also, is it possible to bridge the amp in the Z2300? See what you’ve started by initiating this blog? Keep an eye on temperatures. Logitech uses a massive heatsink, which I suspect is overkill and will probably handle a bridged load. But I could be wrong. 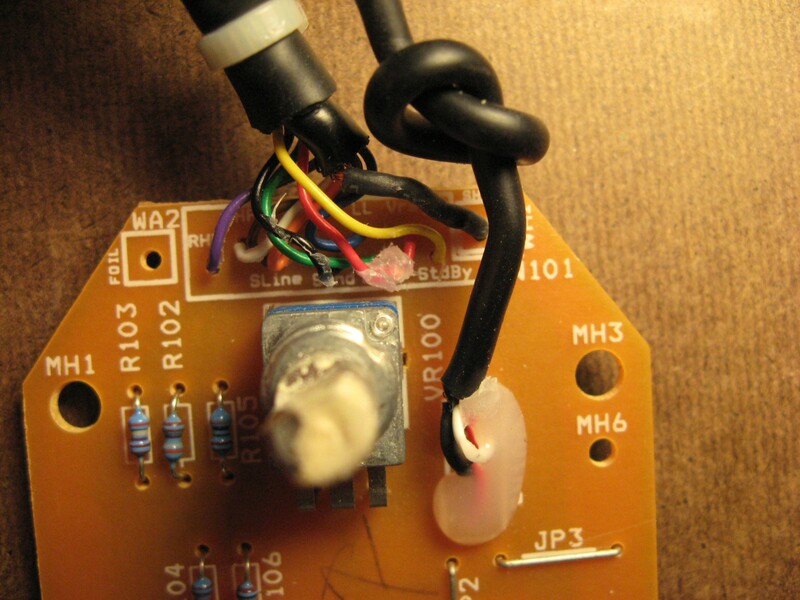 Yes, you could bypass the preamp and wire input signals directly to the chipamps. Hacking required, of course. Hi can you tell me how to bypass or the pinout of a bose companion 3 serie 1. The person that give It to me lost the control pod and i am working on how to turn It on so if you have someting that can help mi i whill apresiate It. thanks you for your time. I’ve always considered the ‘Audio community’ to be an amiable one and you’ve just reinforced those sentiments. Thanks, who ever you are. I for sure won’t be able to perform the instruction set you’ve laid out to achieve my desired result but now I have something that I can take to a professional and commission him to implement the hacks. It gives it a larger look all done in the same floirong but not always good if you don’t want it to be like a big gymnasium but prefer a cozy home atmosphere. Where you step up, definetely needs not be the same; the kitchen and dining room being one level, still doesn’t need to be the same. A really classy way to separate those rooms is tile one then with a line or curve, go right into carpet or wood or whatever but keep it in the same color scheme. The continuous color flow will keep it from being chopped up looking but you’ll have the different textures that designate one room being a different room from the other. Would you perhaps be able to write a diagram on how to make a bypass cable so you can just control the sound level via your computer? I really don’t want to pay 40$ for a replacement pod or 25$ for a wire, which is a simple d sub cable. I used to work at the bux (US) and saw a couple amtttpes at sugar free mocha syrups come and go, also never saw a SF peppermint so I’m not sure the Skinny peppermint mocha calories are correct. It might be available only in certain markets. If you order this make sure it is sugar free, nonfat and no whip rather than just nonfat/no whip or you might be getting an additional 100 cal or so. Everything else seems about right tho, just trying to look out for my fellow Berries! Thanks for the great info. My system stopped putting out any bass (very low volume). I borrowed another sub thinking it was my sub and the same thing. I think my remote is to blame. Any update on where we can get the PCB? The link is dead. I feel the bass is too strong. I have the base control to minimum. With all this knowledge of wiring . Could I install an additional potentiometer to Subwoofer on input wire and further limit the bass output? in simple terms, what type and value of potentiometer do I need and how would I wire it. I would like to physically mount potentiometer on subwoofer. Plan on drilling hole on back panel to mount pot. Would I interrupt the wire on pin 1 with potentiometer? gran utilidad, la compartire !!!Besos!!!!. Hola, buenísimo el artículo, muy util, lo compartire. semana para leer mediante los nuevos consejos que has conseguido. Y, de hecho, estoy tan a menudo satisfechas con sus ideas creativas atractivas que usted sirve. Super-Duper weblog Soy cariñoso !! Volveremos después a leer un tanto más. Yo simplemente no podía salir de su lugar ya antes de sugerir que me agradó mucho la información habitual una persona proporcione para sus visitantes? weblog carga? Trato de averiguar si es un problema en mi final o bien si es el weblog. Como novato, estoy navegando de forma permanente online para los artículos que me puede ayudar. Here a pic, the quality of the pic is not the best. How complicated is it to create one of these things? I have zero knowledge with soldering. Any ideas for me? My Z-2300 control Pod failed and not being remotely handy at this stuff I purchased a cable type remedy on ebay. 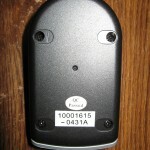 http://www.ebay.ie/itm/251839594290?ssPageName=STRK:MEWNX:IT&_trksid=p3984.m1497.l2648. 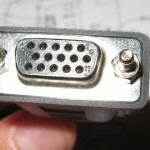 It is a cable with a vga type connector on one end and a 3.5 mm connector on the other. My issue is, even though my speakers are working again the sound is completely different. Any ideas why this might be. 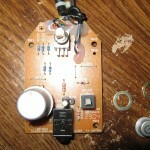 The builder probably used a potentiometer which differs from the original component value. This part seems to have a noticeable effect. Thanks for that info(and the very prompt reply). The sound from the speakers is also much, much louder. Even with the audio playback software(Creative Mediasource 5 Player) set at 45% and the speakers(Win 7 playback device) set also at 45% it begins to sound like the speakers might blow if I upped the volume much more. I think I may be better off buying one of the actual control pods available to purchase on ebay, at least those devices have a vol control handy and they are more likely to behave similar to the original control pod. Hello, I was wondering if anyone knows, or is willing to investigate, and explain findings about this cables values.. I am probably unable to afford the resources to learn about so much, partly having seemingly much less comparative, and related knowledge, to easily come back with a greater contribution myself, at this time. I have concerns about the employment of this cable regarding noise and coloration. I understand that the oem system adds a bass boost to the satellites(at least) via an affect in control pod handling, in all circumstances, but can be escaped by user modifications to the pod.. I understand this is done to drive the satellites harder, and perhaps the sub as well, since mid-range via the satellite 63.5mm(? )(2.5in) driver, is lacking, compensation is made to support the systems frequency range. This might explain why users who’ve employed a third party control pod; find a different bass response. 2(a)(b) Without the stock control pod affect on the signal. I had imagined that any lower mid range boosting might be avoided by using this cable. Reading this post here, however, I am left with even more questions regarding the signal handling. And I do not have the original system, or equipment, in it’s entirety, for a personal ab comparison, nor the tools for objective testing. I am also time broke due to personal matters. I intend to use this system, hopefully without the satellite bass boost effect, in conjunction with a speaker array(is that my new term? I think so).. where multiple speakers, and amps, handle a signal, and more cone is employed in the mids, and upper bass. So the inherent systems boosting for compensation is less desirable by me at this time. Anyhow, more information here about the bypass cable system is of interest, and there is demand. Thank you for making this resource available. but this leaves me with even more questions since I previously understood signal modifications happened in the control pod, i figured doing away with it would do away with the system-specific affected signal, for myself, however, after reading your comments, i cant help but wonder, what is happening to the signal in the sub box. Is it all being boosted, or just the bass response or just the mids? Perhaps bass boost is happening all in the control pod, and this polarized affect is being amplified to a certain degree, which is meant to account only part ways for the satellite deficiencies, and then after the signal is split, again boosts the whole signal.. to account for the remainder. So what may be happening, by employing this cable, is resulting in us getting a whole signal overdrive, instead of a stock frequency range boost? 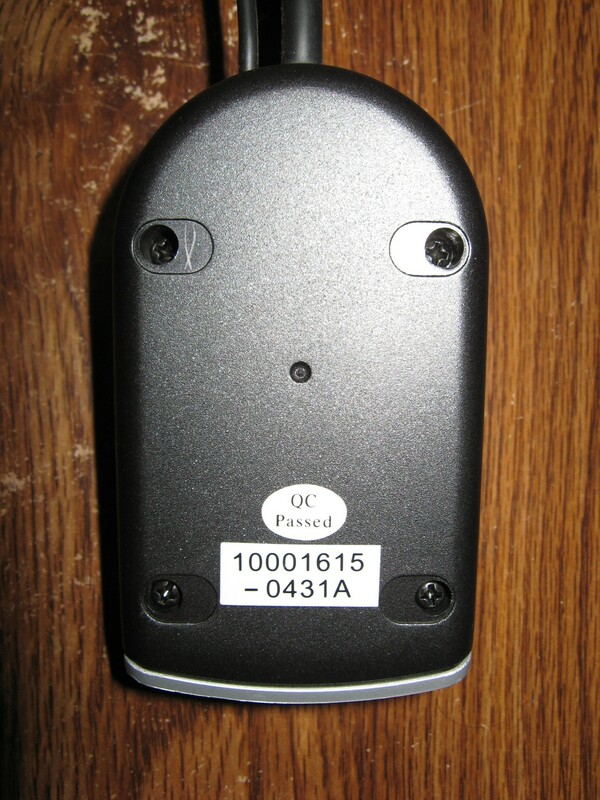 To address your question, I think in “normal circumstances”, the speakers should only be able to draw what they are capable of handling, however, we do not have a “normal” circumstance here, since the signal is intentionally affected.. and these speakers might be designed specifically to handle the affected signal as it is. I would hazard a guess that your speakers should not blow up.. though I suspect they are working out of design parameters. Maybe a signal equalizer would help? Does only the volume in the bass or mid region seem increased for you Gerry, or are the higher frequencies and lower, also affected by this volume boosting? Secondly, to determine the problem, to the benefit of other interested parties, while employing this cable; can you match the volume coming from the subwoofer; to the volume of the stock control pod? With the satellites unplugged, coloration of the situation can be avoided. Say using a test sound. If we had a meter, we could capture the volume differences, and make the setting to the pods, or cable. To see if we can match them for at least a certain sound. Find a good reference point for the stock z-2300 speaker system, maybe 50 percent volume, and 50 percent bass? Whatever produce the most “normal” volume. Switch to the new cable or control pod. Having a bias in our adjustment towards less bass dial and more volume attenuation, and make adjustments towards an even point. Maybe we could find better test results, matching a low bass sound, first, and then try to match to a higher bass sound. leaving the software as it is throughout all tests. Or start at a high frequency.. In fact, first you might find, with the satellites plugged in, does affecting the bypass subwoofer nob have ANY affect on the volume of a bird sound? Crank’er down then, crank’er up for the test! Return the bass nob to it’s position prior, this bird frequency test. After this, match the two control pods as close as possible, leave the knobs where they are throughout the following procedure. Plug in the satallites, and run a test sound, at a high frequency, like a bird sound, use a metre, or your ear, mark a value of one control. Taking a few samples is often good practice and in many cases could produce a more consistent result and more accurate finding. Switch to the stock control pod, and take a sample using the same sound, do the volume measurements match each other? Roughly? OR, is the volume offset the same difference as found in the lower bass region? This can help indicate to us if it is just a difference in a local affected range, say the mid range or if the high frequencies and low frequencies are also adjusted. Now, understanding this result, and having marked down some values, maybe notch the control knobs, and give them percentage values. Then we can test the frequency range around the satellites lower bass region and find the difference. And take lower mid range samples now. First from the sub, without the satellites, then the satellites. Take a few samples up the frequency range.. They say the z-2300 satellites kick in around 120-150hz mark. Now, I would like to know , without the satellites, can you perfectly match the sub response, volume and sounds, across it’s frequency range with the control pod, and with the bypass cable? And if not, which sounds better? Or more accurate? With all this data we can graph our findings, and see the problem, and possibly account for it ourselves, here and now. Or help us or others have a better understanding of what is involved, with using this cable, bypassing the stock control pod, using other third party solutions. This information, otherwise not here, legwork, and findings can be of benefit likely to many others than just ourselves. FYI, in the event that I do not return, you might be able to download an equalizer software for your computer system.. or use a y-splitter, 3.5mm to rca, to reach physical equalizer hardware, before mating the source to the speaker system. This would let you attenuate individual frequency ranges. This might help overcome a problem in the case where the frequencies are abnormally affected by boosting, either in a certain area, or across the board, but especially if the problem is local to a certain range, or broad and linear. Stereo equalizer hardware can be had on the cheap, just for this purpose, I suppose, on ebay. I have one I got for free when moving into a residence once upon a time..
PS. Glad posting here doesn’t require membership. 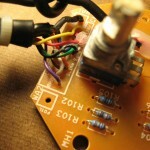 Also Jseaber, your article hyperlinks to the pcb solution offered beforem are no longer available. Hey, I’ve been having a problem with sound coming out of my left channel and was wondering if you could help me diagnose and fix the problem. When I switch the speakers, the sound switches to the other speaker. When I unplug the speaker in the right channel and turn the volume up very high, I can hear sound coming out of the speaker plugged into the left channel. When I plug my headphones into the headphone jack, sound only goes to the right ear, but plugging headphones directly to the computer works out fine. Is the problem in the control pod or the subwoofer, and how do I determine the area of the bad connection? Please help me or guide me to the proper resources. I am quite desperate. Please help! I have the same problem. I thought purchasing this control pod would solve the issue but it didn’t. I now am receiving sound in both speakers but not the subwoofer. it seams to be a problem with amp in subwoofer. To be specific – with the part called ‘Power output stage’ for a left channel. 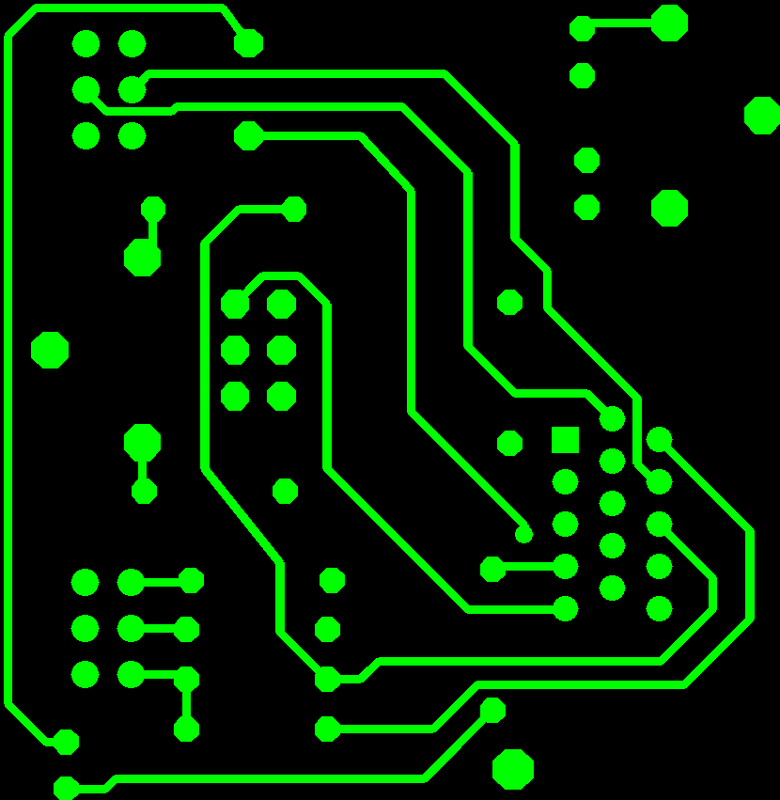 It’s a chip soldered into PCB. You have to go to electronic workshop to fix that. 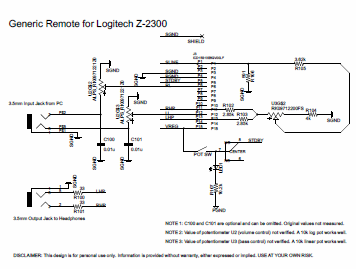 Hello, i have a small question about your Logitech Z2300 diagram. I see you said that you can omit capacitors C100 and C101, if i do that, does it mean i also mustn’t connect sound ground that goes from capacitor to ground? Hi , thanx for the z2300 diagram , alltho i’m not educated enough to solve my problem with it… I’m not an electrician / engineer: I just like to take broken stuff apart and try to fix it… I have a broken z2300 and from what I could see the jack cable was broken ( which I fixed ) and the 15-pin vga like plug seems to be damaged. I purchased a new plug but don’t know which wire goes on which pin , since the original plug is completely sealed in… could you help me figure out which color wire goes on which specific pin…? thanx a lot and have a lovely day! hola amigos alguien tiene los planos de el z5300. no tengo el control y quiero dejarlo con el volumen directo, se puede? 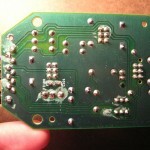 Does anyone know the name of or have a link to Batch PCB? I went there looking for the board but I have no idea how to search for it & with 1200 + pages of boards…….. 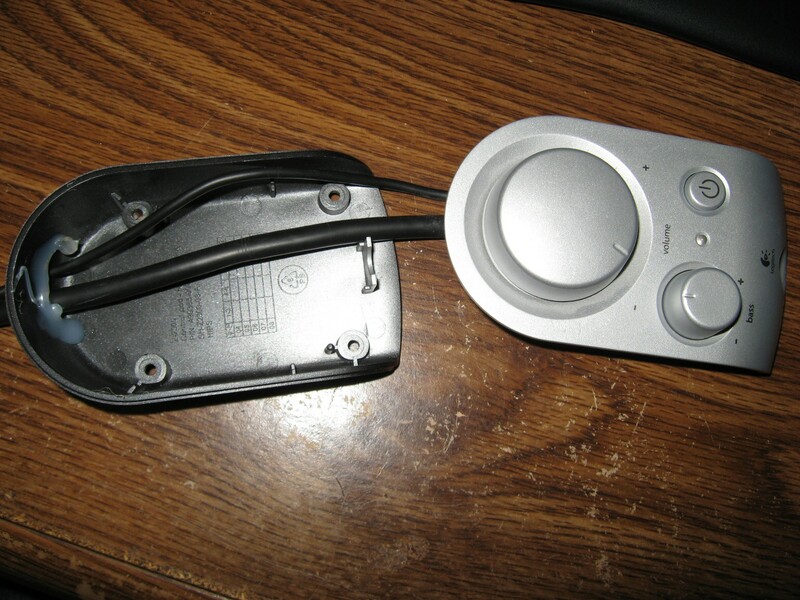 I am trying to fix my Logitech G51 control pod. I am trying to determine the pin-out. 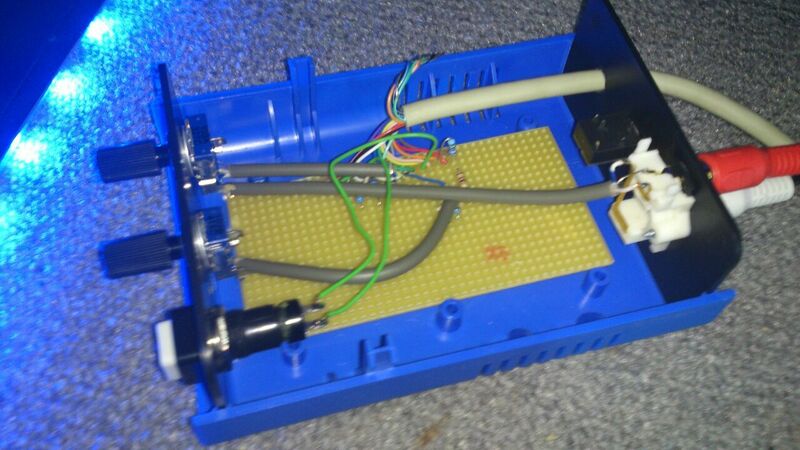 It also works with a d15 connector to the subwoofer. Can you explain me the steps i need to take to do the pinnout. The wires are named in codes from wa1 to wa22. Some wa codes are left out. the total amount of wires from the d15 connector are 15 so all wires are used. My question is, how would i control the volume of the sub if i were to follow the above? or would the output volume be at max by default if the above is followed? Hopefully someone can give me some advice on my z-2300 problem that just popped up this past week. The right channel will not turn down all the way. At mid-volumes, both speakers are at approximately the same volume, but as I turn down the volume knob, they both go down in volume together to a point, after which the left continues down to zero, but the right stays at the same volume (which is much too high when I’m coding, reading , or on the phone at work). I was hoping the cause was accidental changes to my PC sound settings, but connecting it to an iPod showed the same results. I’ve found a temporary work-around by setting my PC volume really low, so that I need to turn up the Logitech system higher to compensate, which puts it in the range where it works properly. However, reducing the PC volume so much decreases fidelity, so I would really like to fix the Logitech problem. I am not as familiar with electronics as most on this thread, but I am willing to give a repair a go if it is within reason of a hack like me! Has anyone had this same problem or at least knowledgeable about the cause? Hi guys… my z2300 control pod headphones output its with a malfunction that makes the pod mute the speakers like it has always a headphone plugged 🙁 there´s a way that I can bypass this? I dont matter lost the output for the headphones… but I want my speakers output back!!! I have connected a z4 control pod to a z2300 but I don’t understand if I got it all 100% right I had to leave pin 4 open of the 15 pin to get function check out the video plz. i just got me a z-2300 woofer. i have three things missing. both left and right speakers and the volume control. on hand i do have different speakers rated as the original so i am really looking for the control pod. if anyone wants to help a guy with this project, please email me a price that is other than the prices i am finding online. i understand supply and demand and i read logitect will not sell replacement parts. that is so stupid to begin with. if you cannot support the item you are selling than you are providing a disservice to anyone that buys one. i do have this woofer, and it is missing those a & b speakers and control pod. i found one seller of the speaker’s would not go lower than 50.00 each which = 100.00 + shipping and 44.00 for the control pod. at these rates it seams it is better to de-stress and just buy a new outfit. You can replace the Left and Right speakers with any ordinary bookshelf speakers. 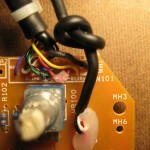 Simply wire the +/- terminals to an RCA connector. You can likely find used speakers on Craigslist. As for the control pod, you’re correct that it’s hardly worth replacing. DIY is the best way to minimize cost. and that i can assume you are knowledgeable in this subject. Fine together with your permission let me to take hold of your feed to keep up to date with coming near near post. My right speaker doesn’t work. The speaker itself is fine since when I plug into the left out, it’s working. I would appreciate it if you let me know how to fix it. 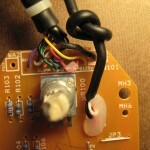 Hello I followed your blog about the control pod for z2300 speakers and I just happened to have a problem with my set so I check everything out since I wasn’t getting sound and found a short in the audio input cable and what I did was replaced the cable with a new one that I soldered onto the board and now works just as new total cost 1.99 to replace the cable. Using this info I was able to revive a near-dead Z-2300. The amp now powers 3 subwoofers (1×12″, 2×6″) @ 7ohms total. Also powers (2xMids and 2xTweeters) @ 12ohms on Left and Right channels. The sound is very nice despite running 11 speakers in total from this underrated amp. It pulls over 350Watts from the wall. My buddy also uses the original Z-2300 satellites and sub in his car and it sounds like a professional car-audio system. I’m interested in saving my Logitech z-560 speaker system, (great speakers!) but have no electronics building experience to build my own control pod. The control pod for the z560 differs from the z2300, but suffers the same design faults. I see replacement control pods for both z560 and z2300 speaker units on Amazon sold by SummitLink for $40. The z560 and z2300 control pods by SummitLink appear to be identical, with the only difference being the subwoofer cable connector. These control pods seem like a great alternative, but the SummitLink z560 control pod has complaints of the knobs being “too sensitive”. I’m not familiar with electronics and am unable to build my own. Is purchasing the SummitLink $40 control pod my only option to or is there a cheaper and better alternative? The DIY schematics posted here are for the z2300 and like I said, I have no electronics experience, so it’s all foreign to me and I wouldn’t know where to begin building my own. So is the bass level on the control pod a simple bass boost or is it an actual subwoofer gain control? I currently have two powered presonus studio monitors as my mains, but I’m using the z2300 and control pod without the mid/high speakers attached, only as a subwoofer. It works great this way. Right here is the perfect webpage for everyone who hopes to find out about this topic. You know a whole lot its almost hard to argue with you (not that I really will need to…HaHa). You certainly put a new spin on a topic that’s been discussed for decades. Wonderful stuff, just excellent! anyone has a complete circuit diagram of a Z2300? The batchpcb site seems to have moved to oshpark, a similar service!? Anyway, the links not working, can’t order the board. Can you provide the file or a working link? How can I get you a cup of coffee? PayPal? 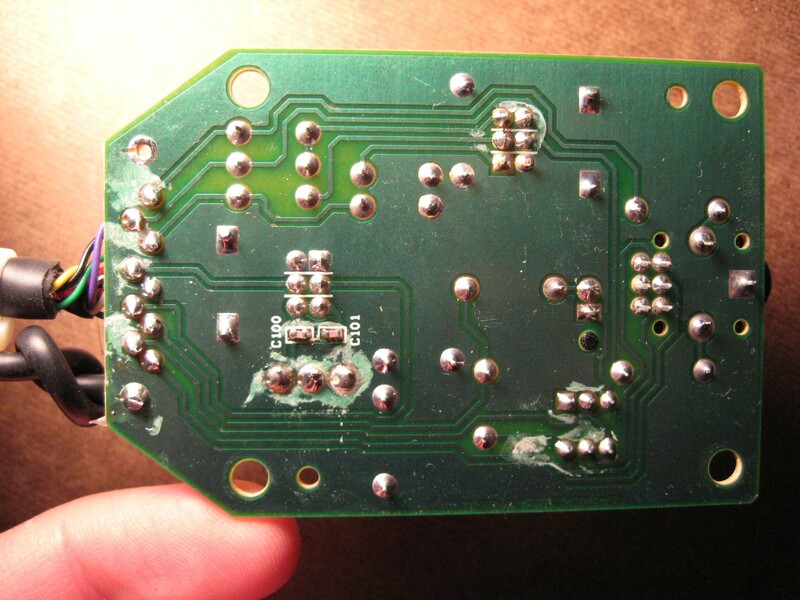 Hello, I’m trying to repair my z2300 and am having trouble identifying a particular component on the amp PCB. The label on the board is D102. I’m fairly sure it’s a Zener Diode but am looking for confirmation/specifications. I have very little understanding of how these circuits work but can usually get the job done if I have good circuit diagram from which to work. Any help is greatly appreciated. 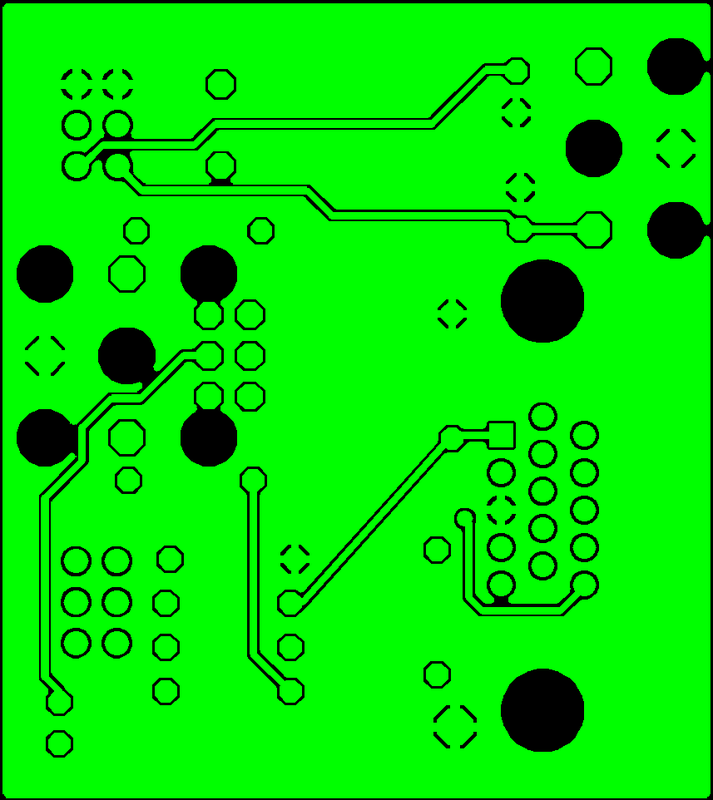 Here’s an image of the board. It’s at the bottom center of image. Just below the blue capacitor. I have a Z 2300 and the control pod stop working. Initially, I thought it was a power issue, however, there appears to an audio problem as well. So far, your schematic for the control has been quite helpful to the guy I am using to fix the unit. Bruce is now needing the complete schematic, specifically, the pin diagram for the subwoofer, to fix the audio problem. I’m hoping you might be able to help us with this repair. Bruce can be reach at the clasamps email address below or by telephone at (520) 907-3929. I greatly appreciate any help you may be able to provide, and thank you for your time, attention, and consideration. Hi all I know this an old thread but hoping somebody knows the answer. I want to replace the phone connector on my Z-2300 Control Pod. Can anybody help me out finding out the replacement part. After reading the comments and the post I saw this one not sure if that would be a direct replacement. something entirely, however this article provides pleasant understanding even.